Librarians deal with it all the time: Patrons who wander in and approach the front desk in desperate search of a book, armed with little to no information about its actual title. “It had a [something] in it,” people might say. These inquiries may be difficult to solve. But they also inspired staff members at the Framingham Public Library this month to assemble a cart that takes a playful potshot at such befuddled book lovers. To the library’s surprise, the slightly-sarcastic book arrangement teasing bewildered bibliophiles has seemed to resonate with both readers and librarians. 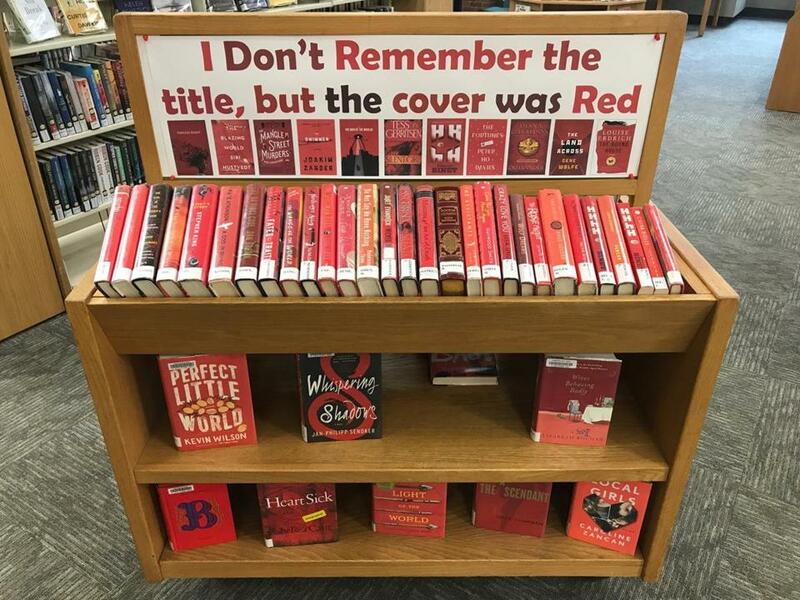 An innocent picture of the display posted to Twitter this week by one of the library’s workers has gone viral, amassing accolades from tens of thousands of people and working its way onto BuzzFeed and Mashable. As of Thursday afternoon, the tweet had been shared more than 43,000 times. The original tweet said, “When libraries troll their patrons,” and included a picture of the display. But Kilburn said there was no malice behind the concept; the library often comes up with quirky ideas for how to best merchandise what they have on the shelves. “We have some really creative staff members who thought it would be a fun way to showcase books that wouldn’t otherwise be found or discovered,” she said. In the case of the now-viral book display, she said it gives people a glimpse into the lives of librarians, and the types of questions they field daily. “People will come in all the time and ask funny questions,” she said. They say things like, “I can’t remember the title” but “there was one character in the book that I remember,” said Kilburn. She said librarians then get to work to try to solve the mystery.